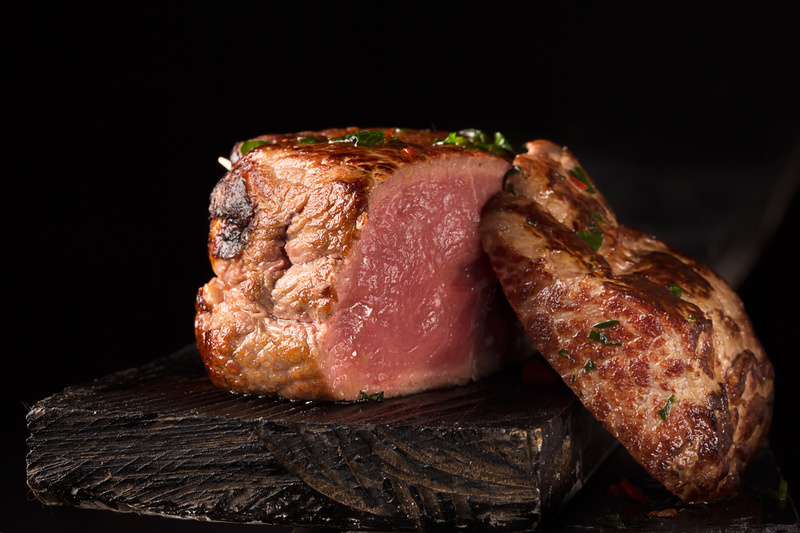 To get the perfect steak, it needs to be well tenderised and aged so that it can be as succulent as possible. Beef should be aged in order to let natural enzymes break down all the fibrous connective tissue that holds the muscles together. There are two ways to self-tenderise your steak. Either through dry ageing or through wet ageing. Dry ageing can be very expensive and time-consuming. With dry ageing the meat is stored in temperature and humidity controlled coolers for up to six weeks. During this process, the majority of the moisture from the beef evaporates, which improves texture and concentrates all the flavours. Dry ageing is perfect if you are looking for a very flavourful meat. With wet ageing, the beef is stored in vacuumed-sealed plastic, which allows it to tenderise in its own juices. With wet ageing, it means that no moisture is lost, allowing for a much more tenderised piece of meat, but it does also mean that there is less concentrated flavours. Whichever method you choose, as long as you are ageing your meat, it is sure to be deliciously tender and ready to be devoured.